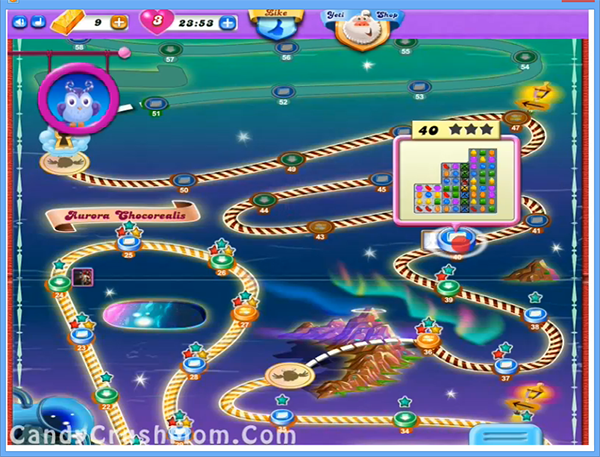 The candy crush dreamworld saga levels are getting hard and this level board have 60 candies with 33 jellies and some are block with grill box. If you already completed previous hard levels then I think this level wont make any problem. To complete this level you need to break grill boxes so you can play with more candies and then try to make special candies or break candies that Odus owl have with balancing to increase moon power. As moon will struck it will give more chance to make colorbomb or other special candies and try to combine with each other like colorbomb with striped candy to break jellies more. We completed this level with 147760 score by making special candies and two colorbombs within 22 moves and rest converted to fish booster that help to add more score.